Cougaar Software, Inc. (CSI), an innovative technology company in the Washington D.C. area specializing in AI and distributed intelligent agent solutions, is pleased to announce a contract award from the Office of Naval Research (ONR). This is part of the USMC Armored Reconnaissance Vehicle (ARV) Science & Technology (S&T) effort. CSI is been awarded a 6-month contract as an Advanced Component/Subsystem Technology R&D performer (RA1) focused on Logistics. The intent of this initial award is to develop the design of an Automated Vehicle Logistics Management (AUTOLOG) capability. 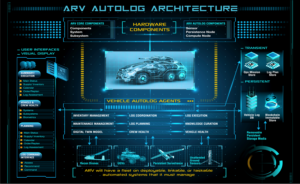 The design effort will show how algorithms, AI techniques, and cognitive technologies can provide a logistics system capable of automated intelligent logistics analyses and management for an Armored Reconnaissance Vehicle (ARV). A key component of this effort is promoting the capability with the RA2 full platform developers. The resulting capability will provide a highly efficient and effective automated logistics capability that will significantly increase vehicle readiness in terms of operational availability, material readiness, and combat effectiveness perspectives. The scope of logistics in this effort includes the health status, maintenance, and materiel requirements of the platform, its systems, and its crew. ARV logistics analyses and management will be embedded into the platform so that the provisioning and sustainment of spares and consumables for the platform, its systems, and its crew will be automatically monitored and managed without distracting warfighters from their higher-priority C2 roles. CSI leverages advanced AI and automation concepts as well as multi-agent systems to provide next-generation planning, decision support, and optimization systems for military and commercial customers. These solutions are built on CSI’s state-of-the-art AI platform, called ActiveEdge®, a distributed intelligent cognitive agent development framework based on the DARPA Cognitive Agent Architecture (Cougaar) technology. CSI’s technology enables users to understand complex situations and provides intelligent, automated deep reasoning over massive amounts of data to make better decisions, quicker, and with higher confidence.